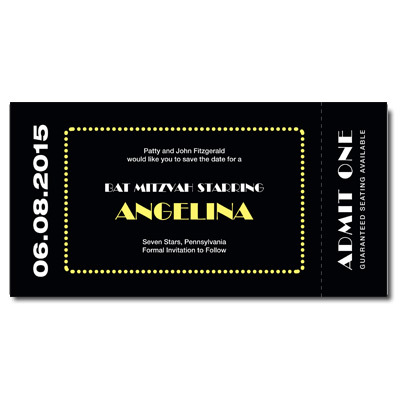 Your child will be the star of the show with this custom Broadway Bar Mitzvah save the date! 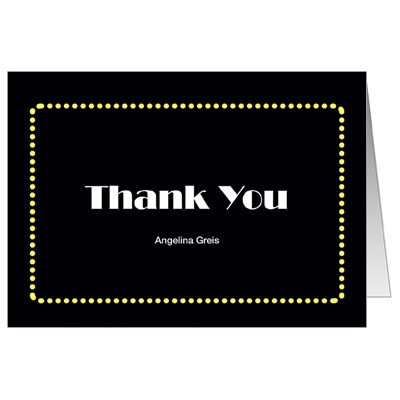 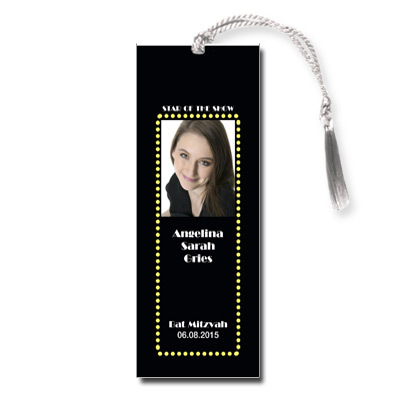 It is designed to look like a Broadway ticket with space for your name, date and place. 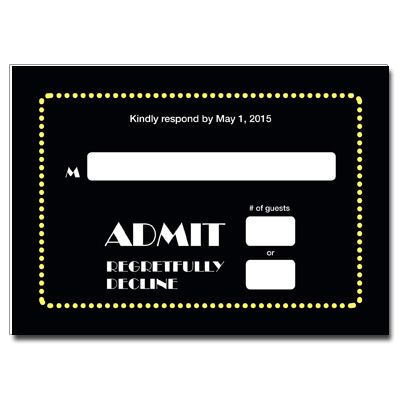 Card measures 7x3.5 and comes with round stick-on magnets; light assembly required.